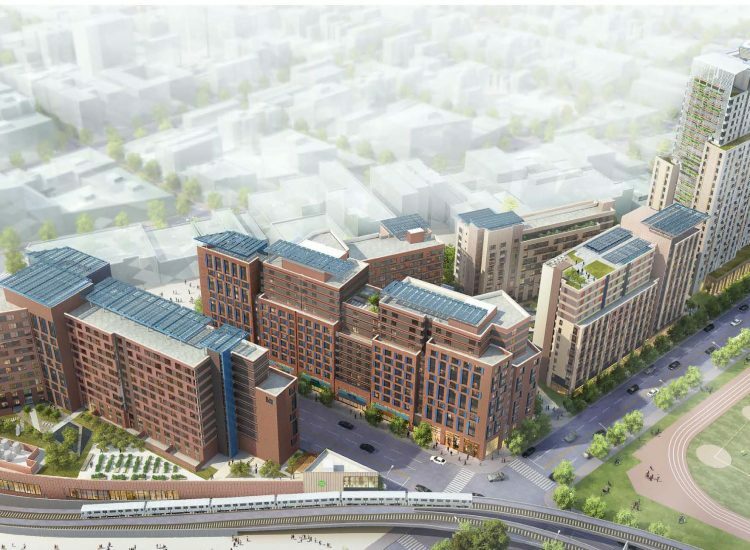 Bronx, NY | Michael Bloomberg, towards the end of his tenure as Mayor of New York, awarded the rights to develop the Bronxchester site in the South Bronx to a team that included Bright Power. The new development, La Central, will consist of 5 buildings and 1.1 million square feet. Construction began on Phase I (Building D) in the fall of 2017 and on Phase II (Buildings A and B) in the spring of 2018. La Central Phase III (Buildings C and E) is set to break ground in 2020. In both Phase I and II, Bright Power is working with the team to incorporate efficiency and solar photovoltaic (PV) into the design. The five buildings, located between Bergen Avenue, East 149th Street, and Brook Avenue in the South Bronx, consist of 496 new affordable apartments made available to low and moderate-income households.